Try six different types of negronis over a free serving of cheese wheel pasta. What better way to kick off a week-long celebration of the classic, European-born negroni than an Italian-inspired party at one of Melbourne's most lauded cocktail bars? If any place can do this iconic tipple justice, it's The Everleigh, as you'll see on Wednesday, June 6. That's when the famed Fitzroy bar launches Negroni Week with a free-to-attend Cafe Casoni party, paying homage to the drink's Florence birthplace. The Everleigh's Elk Room will be switching on the old-world Italian charms, with a roving jazz band setting the tone as you enjoy complimentary cacio e pepe — that decadent dish of fresh spaghetti served straight out of a Grana Padano cheese wheel. Best get in early if you want a taste, as it's free but only available until it runs out. 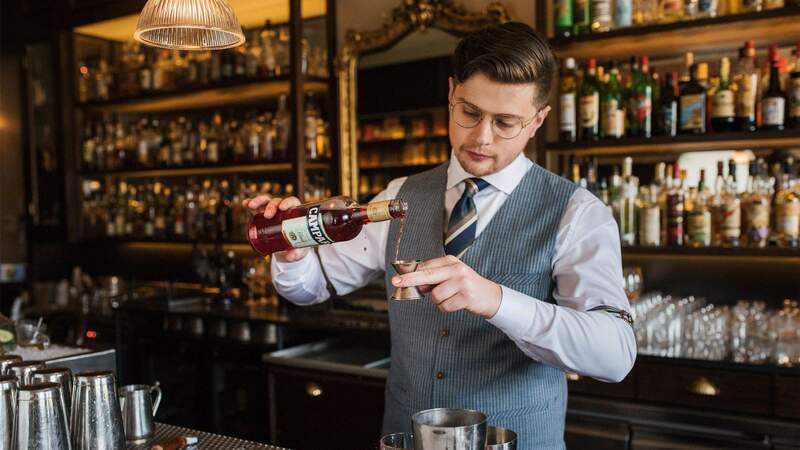 Of course, it's the cocktails that are set to steal this show, headlined by a special '6 degrees of Negroni' menu featuring six clever twists on the classic aperitif. Prices start at $18, with highlights including the Cynarita, teaming tequila, Campari and Cynar; and a dry, bitter, citrusy delight dubbed Rome With A View. Plus, as well as seeing bars around the world offer a special negroni selection, Negroni Week also raises money for charity. At The Everleigh, $1 from every negroni sold across the week will go to OzHarvest.